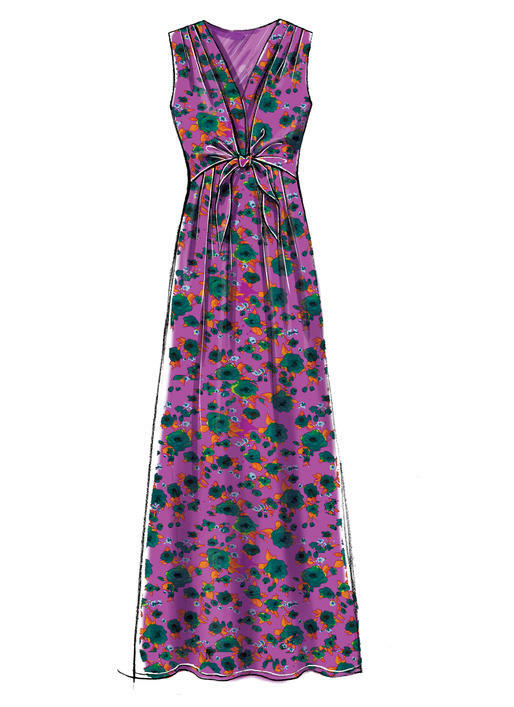 The McCalls M7381 dress pattern, it’s perfect for an advanced beginner dressmaker. 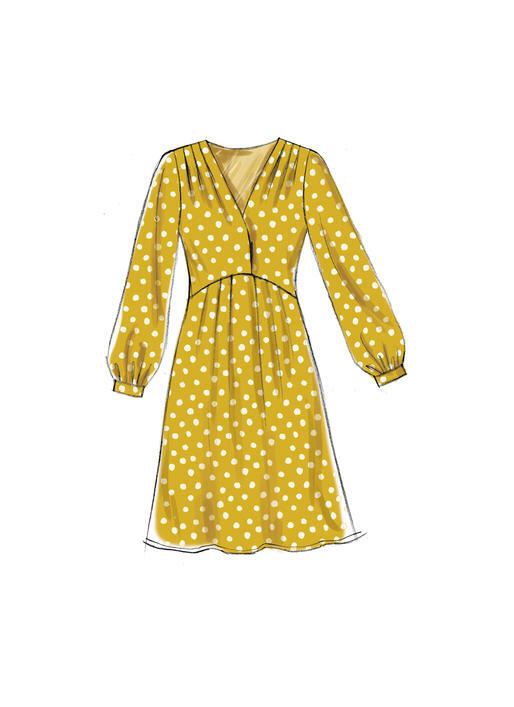 these pullover dresses have loose-fitting, lined bodice with shoulder pleats, raised front waist, front pleated and elasticized back skirt, narrow hem, and front snap closing. A: Contrast bodice. A, D: Sleeveless. B: Long sleeves gathered into bands. C: Short sleeves. C, D: Front extends into tie ends. D: Maxi-length. FABRICS: Challis, Crepe de Chine, Crepes, Cotton Blends. Lining: Lining Fabrics. NOTIONS: 5/8 yd. (0.6 m) of 1/4” (0.6 cm) Elastic, Three Small Snaps. This is the second version of M7381 I’ve made, using some lovely Seasalt needlecord with little acorns on it. I made an XS but I’ve taken a lot out of the back- around 4 inches. I also narrowed the shoulders by 1 cm and took an inch or so out of the front bodice. This pattern is VERY roomy on top (for reference I have a 31″ bust) so I had to alter it quite a bit to get a fit I liked. I also added some in-seam pockets and changed the sleeves to an elastic cuff (so I can wear it to work and be “bare below the elbows”…). 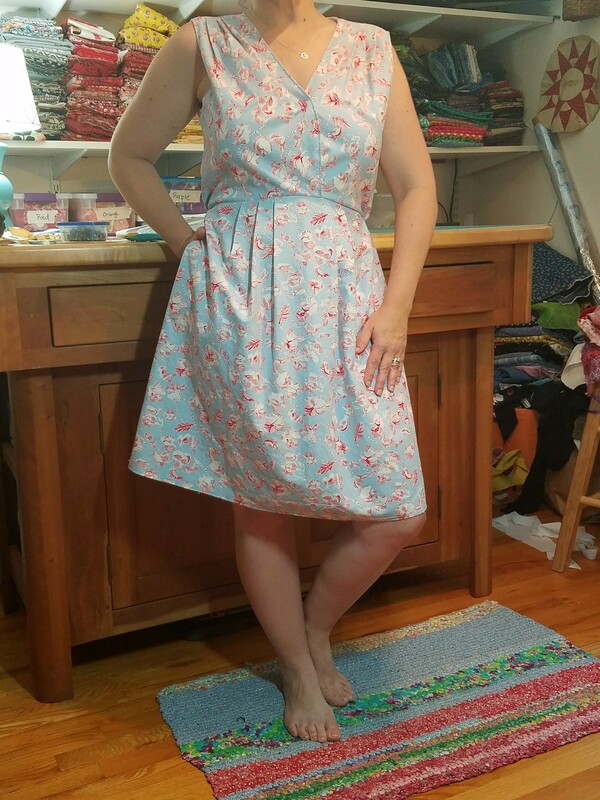 I am pretty new to sewing clothes but have been sewing for years. I thought this came together very easy, it was the first time I did a lining and the directions were great. The pattern seem to fit me a little big but I do now know how to adjust patterns to fit to my body yet. 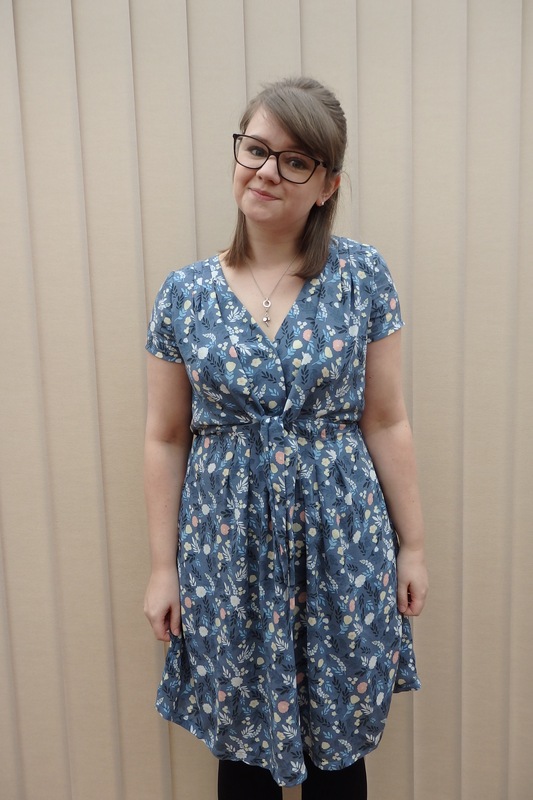 I made in cotton even though it calls for more drapey fabric but I love a cute cotton dress! I will be making a few more of these. I got the McCalls 7381 with this month’s edition of Love Sewing Magazine. It was actually the pattern that made me buy the magazine. 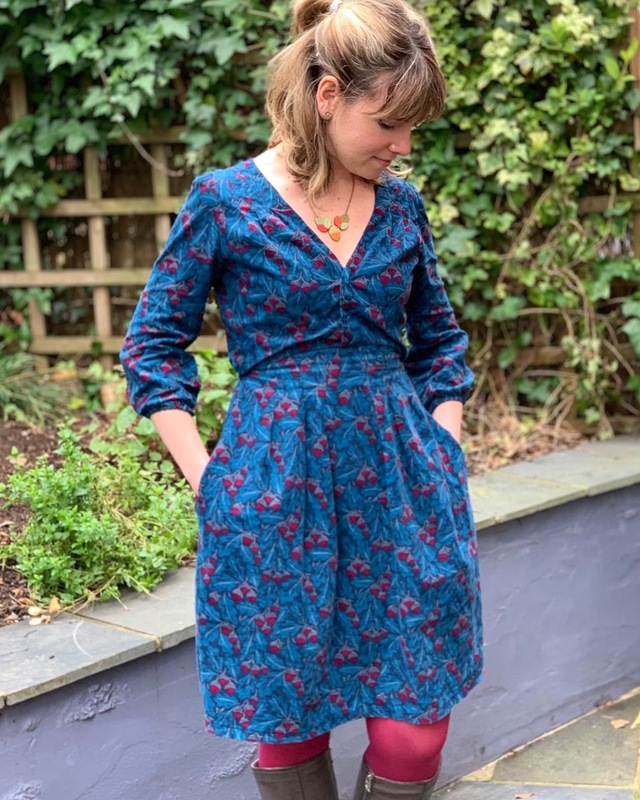 Knowing that I was going to get a “big 4” pattern with a magazine gave me more confidence that I was going to get a wearable garment at the end of investing my time (and fabric!) into making something. My main advice is to use the finished garment measurements that are printed onto the tissue. This will give a better fit and you’ll be able to pick how much ease you want in a more informed way. My measurements were saying I should make a medium for my bust, grading into a large for my waist and hips, but like Amy from Almond Rock, I ended up making a straight size small. I really love the finished garment. I would recommend taking your time with the bottom of the ties, and use some interfacing to help keep your corners from fraying too much. 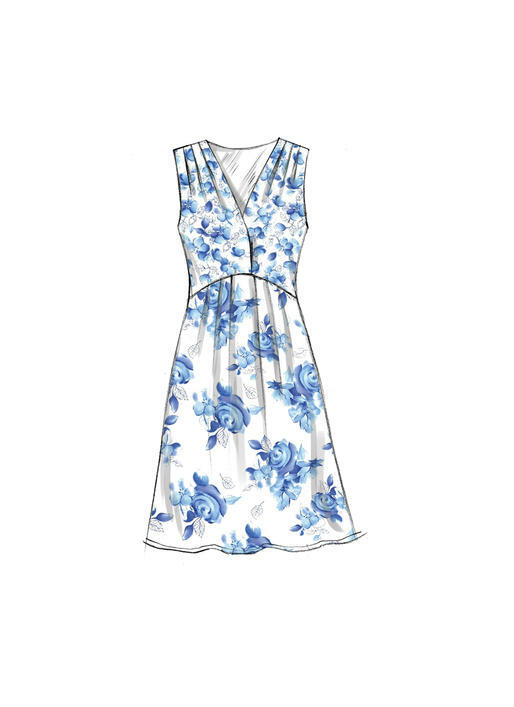 The dress really needs some fabric with drape in because of the bodice design, so you’ll have to use something like viscose. That means the fabric will be super shifty, so you could try a stabiliser, or just a lot of patience! I’ve put it as an “all day” make, because it takes a little while to cut out and transfer the markings, especially on a fiddly fabric. Once you’ve put all the pleats in, it doesn’t actually take too long at all.